Mobile LED screens mounted on trailers and trucks that are ready to display your LIVE or pre-made content. ePower team has innovatively integrated the best components to create outstanding products such as EM600 or EM700. Over the years we have invested heavily in our product research, ideas, innovation and designs producing mobile LED screens that are an industry first in Australia. 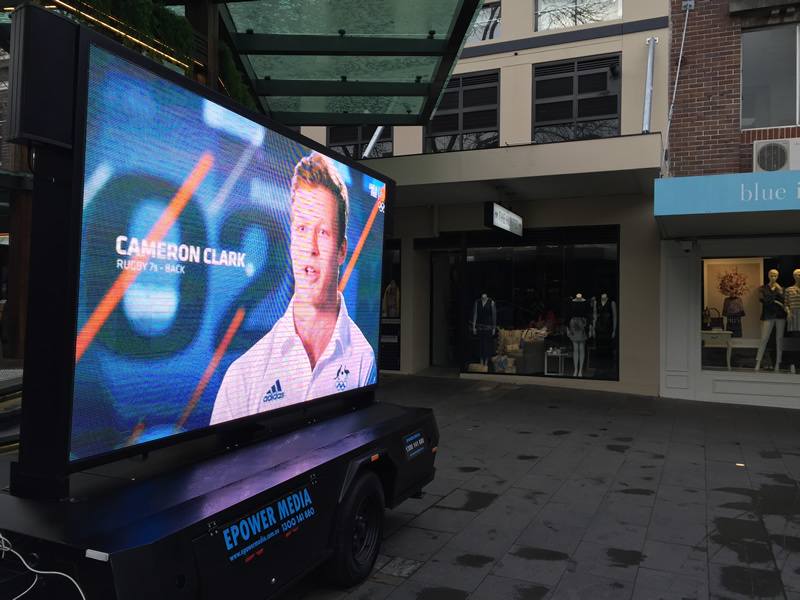 We launched ‘Australia’s First’ LED screen truck that presented new possibilities, strategic opportunities and delivered technically advanced LED screen solutions. Our LED screen solutions are customer driven solutions that are provide high standards of solutions, services, and support to meet the changing needs. LED screen trailer (EM600) is a flagship model with appealing looks and loads of features in-built to provide a robust, functional and highly versatile mobile LED Screen. 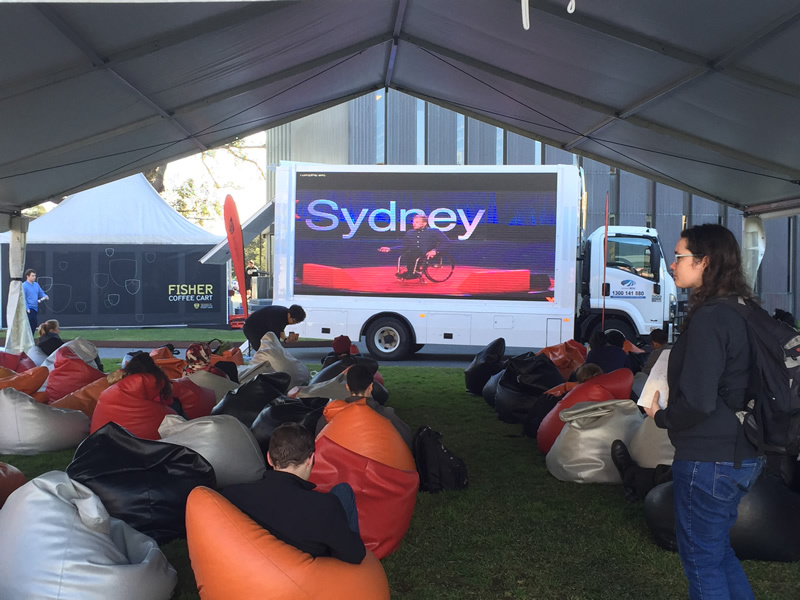 Trailer mounted LED Screens are easy to deploy in constricted areas for a gathering of up to 1000 people. The EM600 carries P6 LED outdoor screen and is highly recommended event screen. The LED screen is optimised for text, video and static images, it is capable of displaying internet feeds/ streaming. LED screen trailer (EM700) is a high definition screen trailer with appealing looks and loads of features in-built to provide a robust, functional and highly versatile mobile LED Screen. 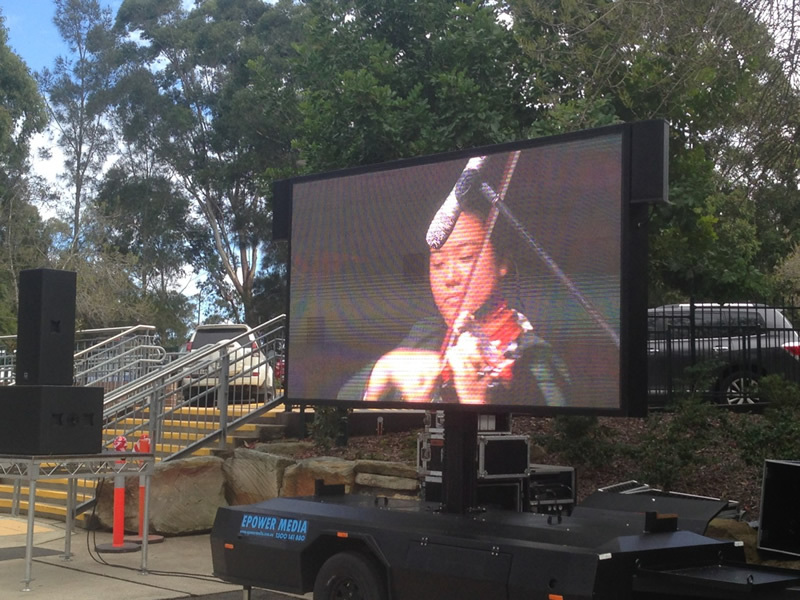 Trailer mounted LED Screens are easy to deploy in constricted areas or for a gathering of up to 1000 people. The EM700 carries P4 LED outdoor screen that is a hi definition and optimised for text, video, Internet feed and much more. EM700 is highly recommended for a closer viewing distance. LED screen truck (EM2500) is a flagship single side screen truck with loads of features in-built to provide a robust, functional and highly versatile LED Screen mounted truck for events and or outdoor advertising. Use EM2500; the mobile LED screen at any event, roadside advertising or both. The EM2500 carries a large 4800×2400 mm P10 LED outdoor screen, on-board generator, sound system and video processor to connect to variety of inputs. GENERATOR SILENT Diesel Generator for powering entire systems in the vehicle. LOW Emissions & Low Noise Highly efficient Water Cooled engine.